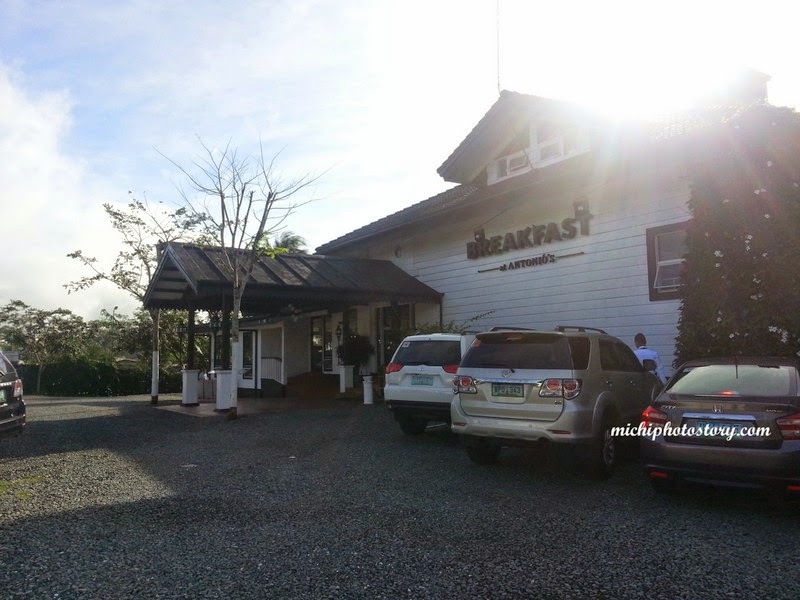 Whenever we go to Caleruega, we always passed by Breakfast at Antonio’s because it is just located along Aguinaldo Hi-way. I noticed that the parking is always full so I was really curious to try their food. 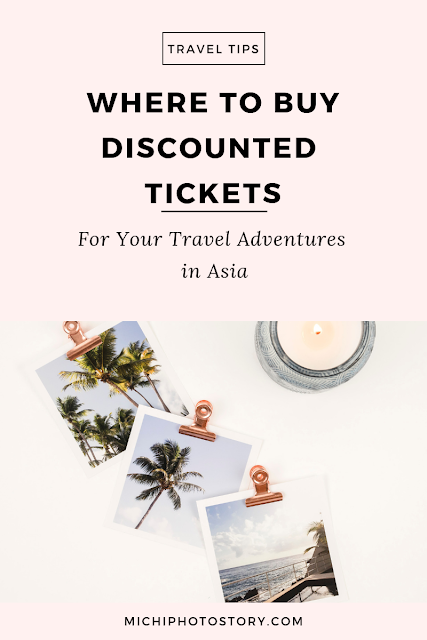 Aside from that I’ve been reading a lot of good reviews but I’m also aware that the price is not affordable. 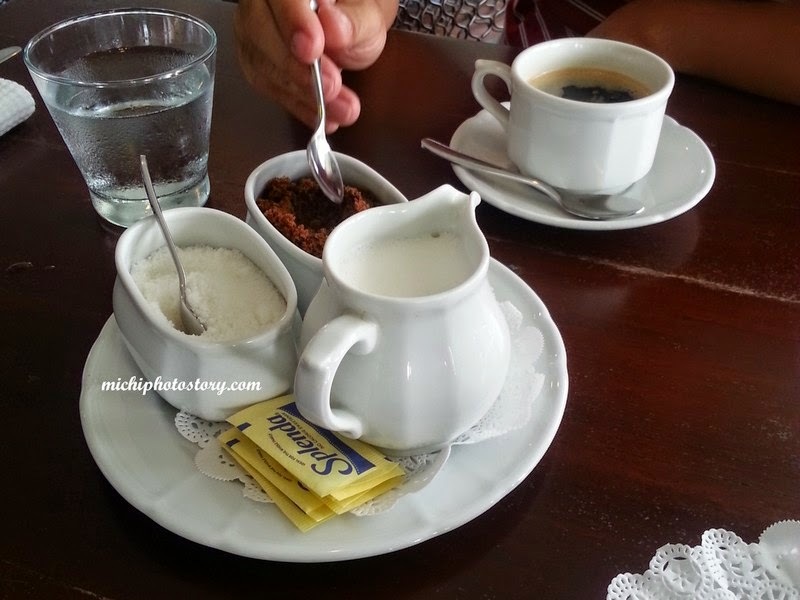 Last Christmas we were in Tagaytay for early mass so I suggested to my husband that we eat our breakfast at Breakfast at Antonio’s after the church service. Past 8AM we’re on our way to the restaurant and good thing there was no traffic yet. 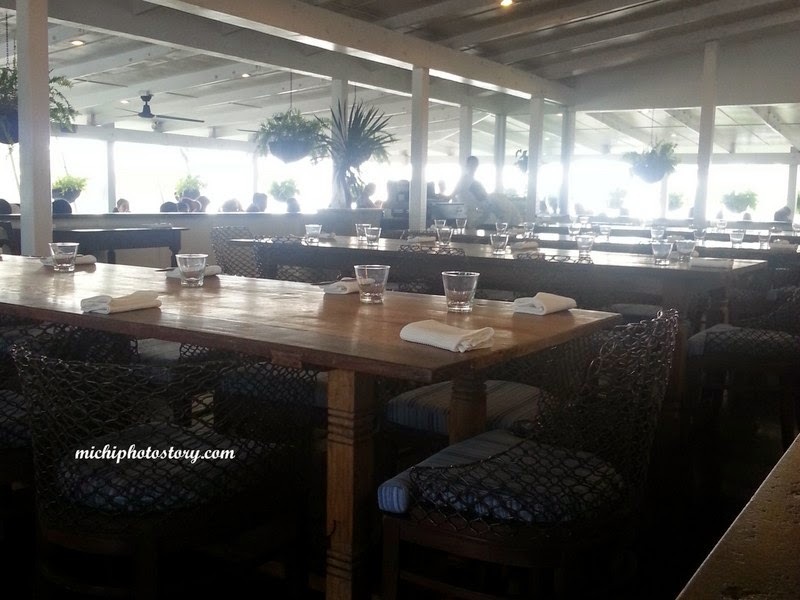 We went inside the restaurant looking for table but the staff informed us to wait at the waiting area. My husband registered and we waited for our turn. I don’t understand because there are so many available tables and it took us so long to be seated. It is first come, first serve basis. 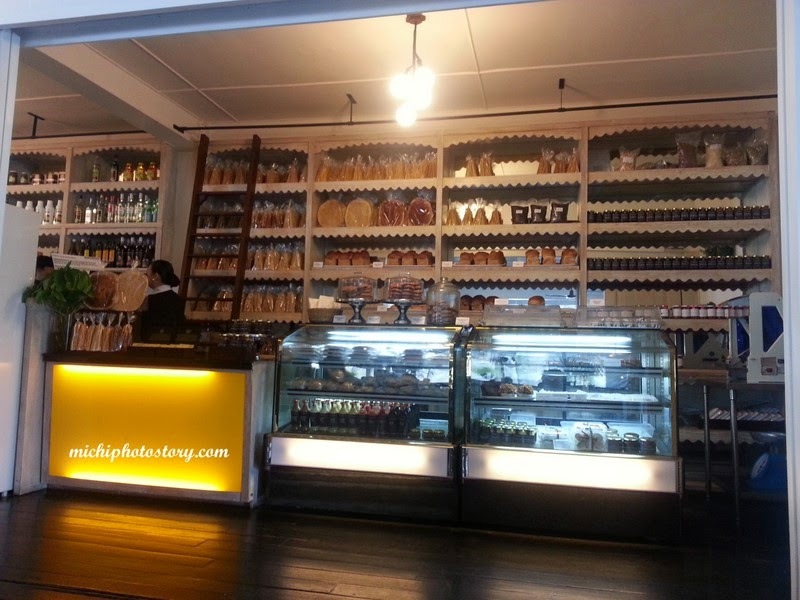 While waiting, I checked the bakeshop where you can buy breads, jams, cakes and many more for pasalubong or take out. 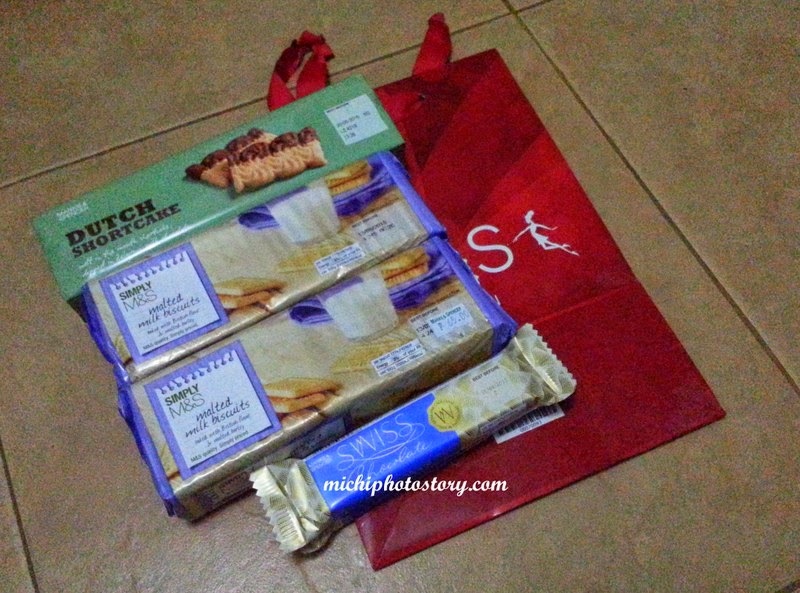 But I did not buy anything because we still have brownies and desserts at home. Since it was our first time it took us so long to browse the menu, we ordered Housemade Pork Sausage P375, Golden Waffle P205, Housemade Sliced Bacon P375 and brewed coffee P180 (refillable). They served the coffee together with three types of sugar and milk. If you are not coffee drinker, I guess the P180 cup of coffee is not worth it. My husband just finished two cups of coffee. 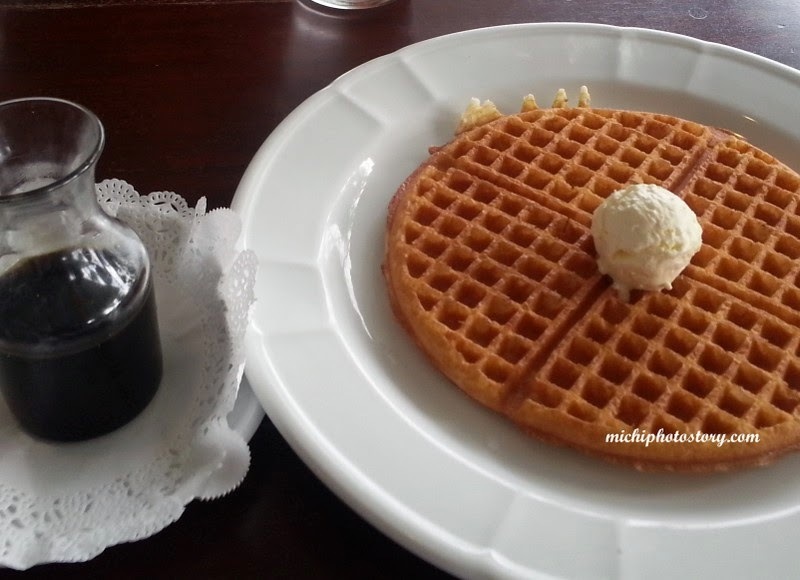 The Golden Waffle was served with maple syrup and butter, a simple meal for a price of P205 + 10 SC. Nothing special in their waffle. My Housemade Pork Sausage was served with hash brown, housemade toast and two eggs cooked depending on your preference. I chose scrambled egg. 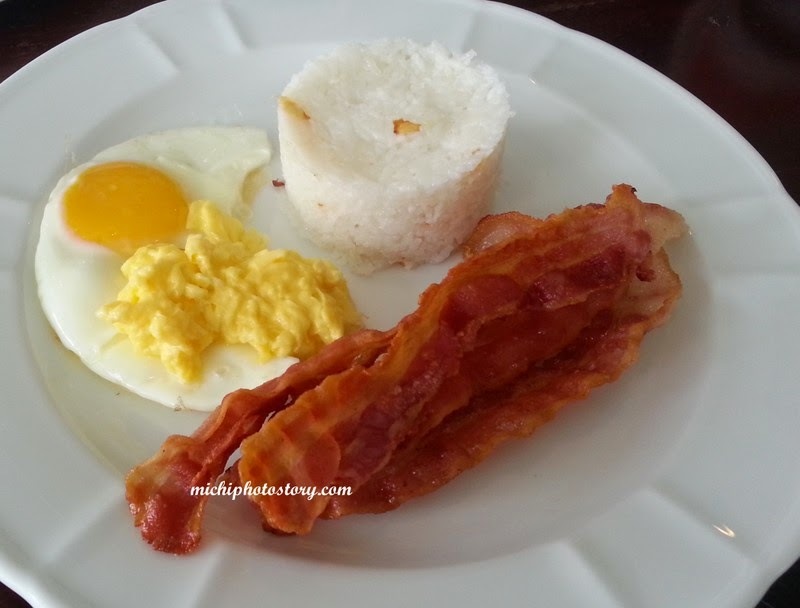 The Housemade Sliced Bacon was served with two eggs and rice. I was glad because we enjoyed our meal.I wasn’t able to finish my food, I was already full after eating half of everything. I tried my husband’s bacon and I proved that it is really housemade, di siya kalasa ng mga nabibili sa grocery. Except for the coffee and waffle, you will understand why the meal is on the pricey side. 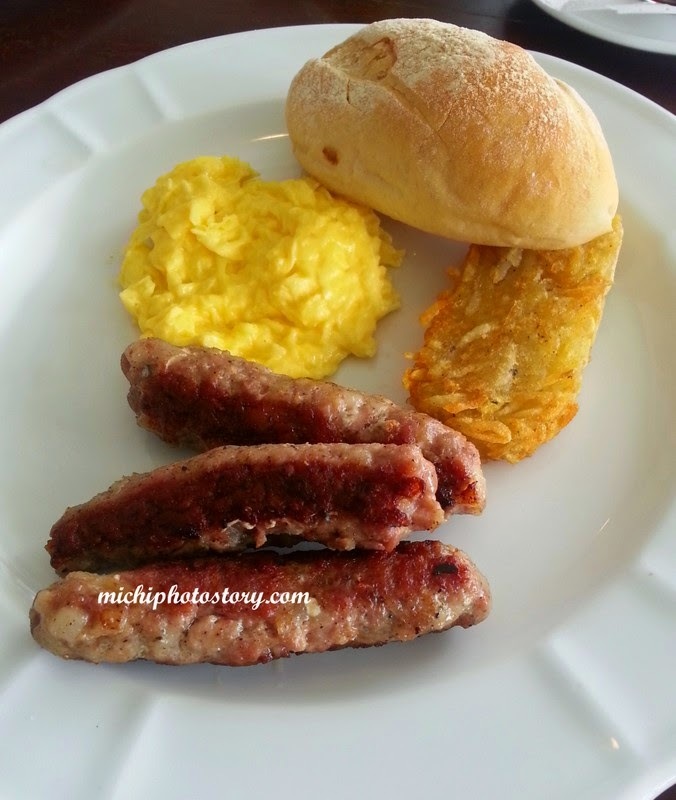 The food is not just an ordinary meal + the atmosphere of the restaurant, ang sarap lang magbreakfast. I can say that it is still worth the experience. 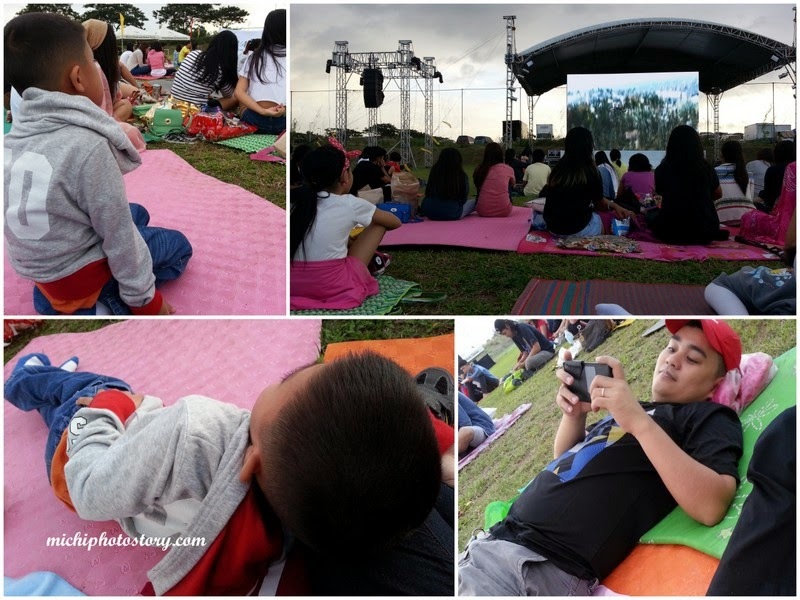 I can’t remember what year Night Sky Cinema started but I know that we wanted to try it. Unfortunately, we always have scheduled trip on showing dates so it took us so long to experience it. We’re supposed to go last November but when I’ve learned that they will show scary movies, ayawan na. Knowing me, I don’t watch horror movies. Hehehe! We were looking for rubber mats day before the trip pero namamahalan ko sa P800 so wag na lang. 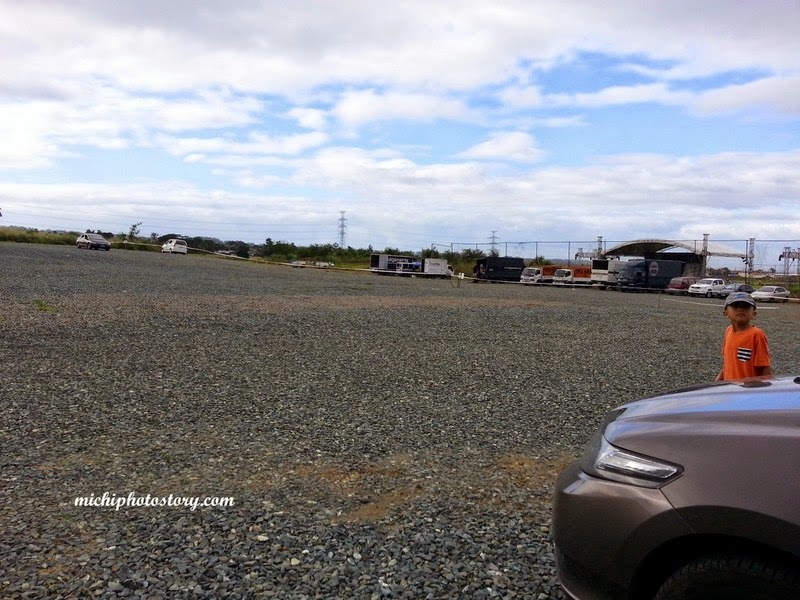 We have no idea what time the movie will start but the gates will be opened at 4PM so we left the house at 2PM to avoid the traffic, so we cN secure parking slot and nice spot for the movie. 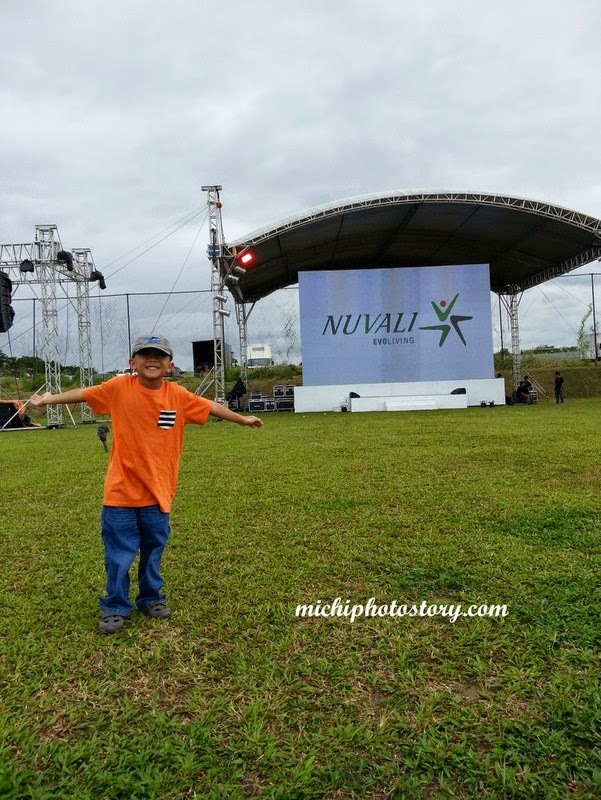 No traffic so we were there before 3PM, fortunately the gate was opened past 3PM so we went to Nuvali Fields immediately. We were able to borrow rubber mats at 4PM just leave your ID. There were food stalls too if you want to buy food and drinks. We brought some snacks and drinks but no rice meal so we had early dinner there bago pa dumilim. My husband bought BBQ and Sisig Meal at P65. The program started at 4:45PM and the first movie was “Rise of the Guardians”. 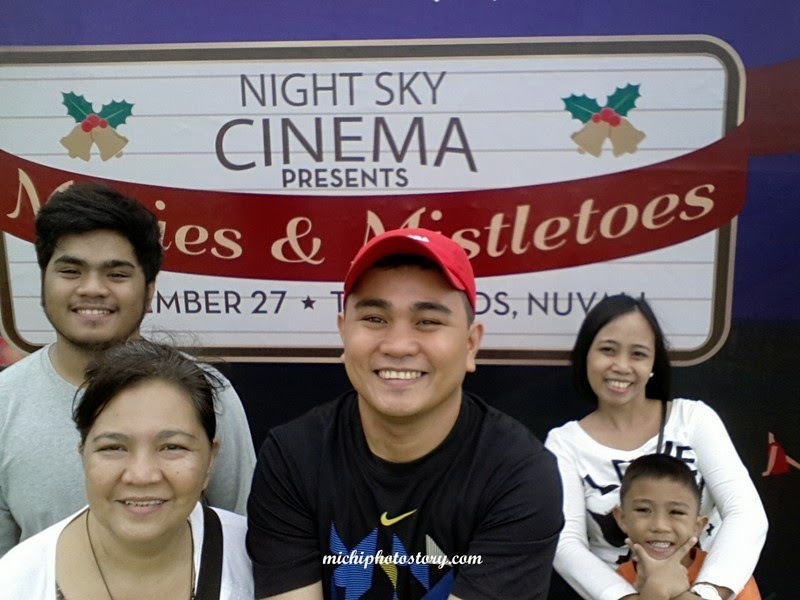 Remember our advent calendar, we missed “Watch your favorite Christmas movie” activity so nagawa din namin. Hehehe! 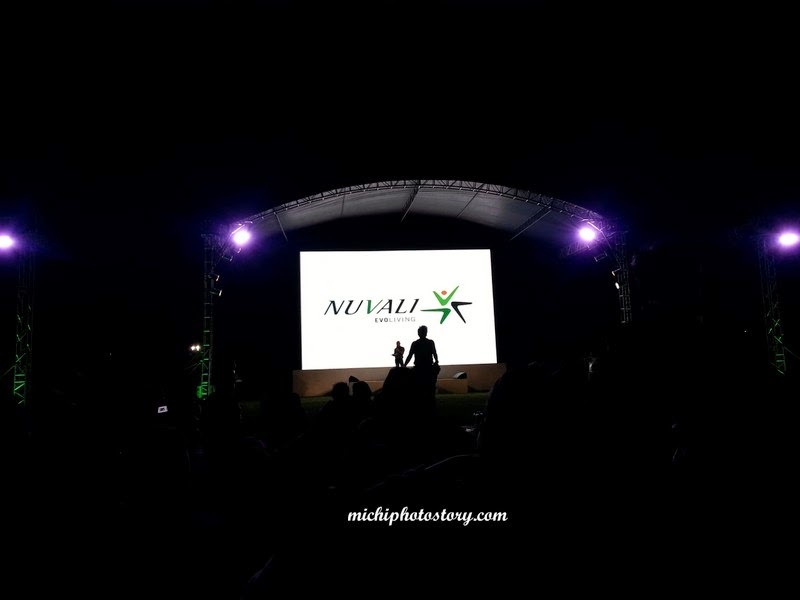 We already knew the list of movies so even we already watched it, we still went to Nuvali because watching in open field and under the night sky is a different experience. Since it is December month, we brought some blankets and jackets but honestly it was not enough. Nilalamig pa rin kami, I should wear hoodie kasi nilalamig ang aking face. We just finished the second movie which was "Home Alone" and we went home already and baka maging yelo na daw kami sa lamig. Lol The third movie was “The Holiday” so hindi na pang 6yrs old. 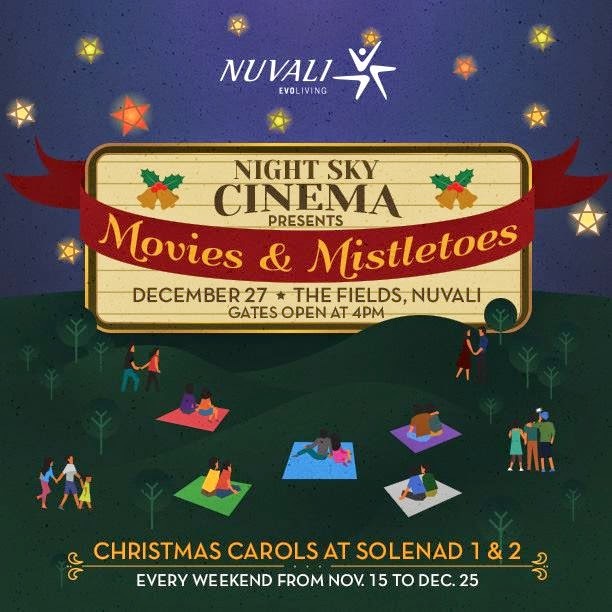 By the way, if you upload your pictures on Instagram and put hashtag #nuvali and #nightskycinema they will print that pictures for free. I uploaded two photos only at ang bagal ng net. The next Night Sky Cinema is in February, I’m not sure about the date yet. Admission is free. Only three days left and we have to say goodbye to 2014 and say hello to 2015. But before that I want to share how did we celebrate the holiday. Honestly, I love this holiday season because of the long non-working days. I can’t remember yung last na may mahaba na vacation. 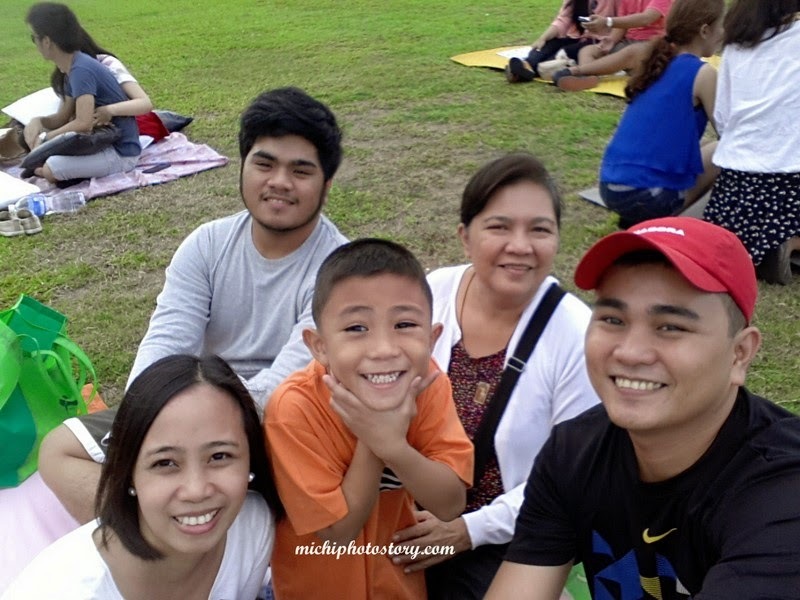 So even we have no travel trip, I’m still happy because walang pasok si hubby so we have more family time. We always have simple Christmas celebration, my husband invited again my in-laws to have lunch in our place last December 24. It started last year so I think this will be a yearly thing. 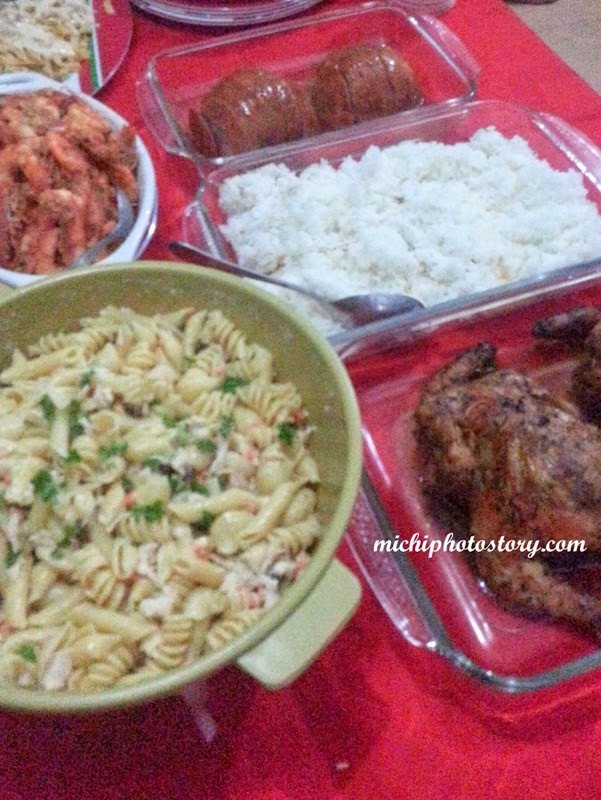 I only cooked Roast Chicken, Salted Egg Shrimp, Ham, Brownies and Buko Pandan good for 12 persons. Ooops, hindi pala buko pandan kasi wala buko, Nata de Coco + Green Gulaman lang pala laman. 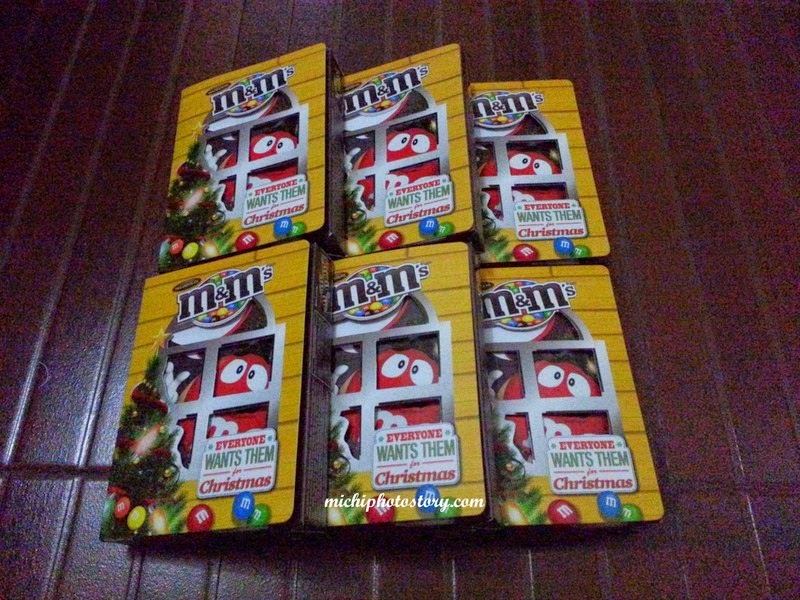 Lol I prepared small prizes for our mini raffle and we had exchange gift worth P100. Our family of three had early dinner because my son was so excited to open his gifts. 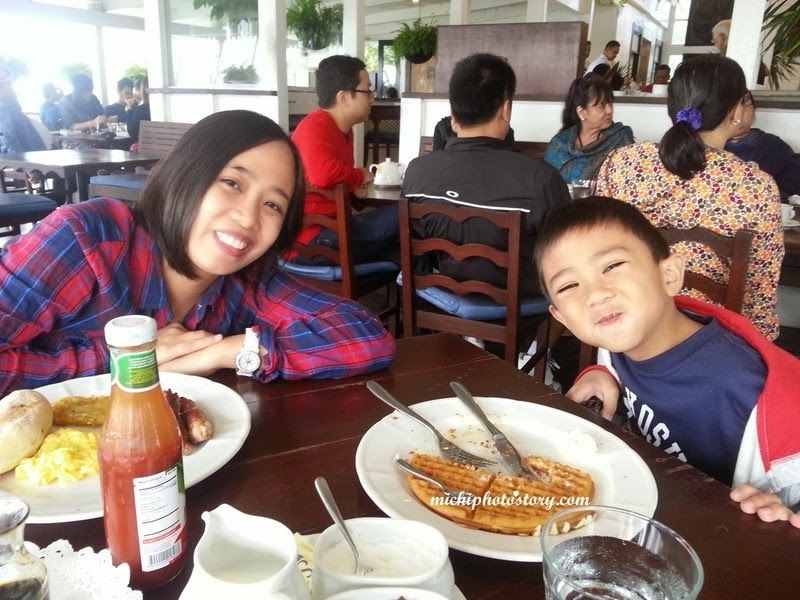 The following day, we went to church in Tagaytay and had breakfast in Breakfast at Antonio’s. We went home immediately because we wanted to avoid the traffic. How about you, how did you celebrate your Christmas? 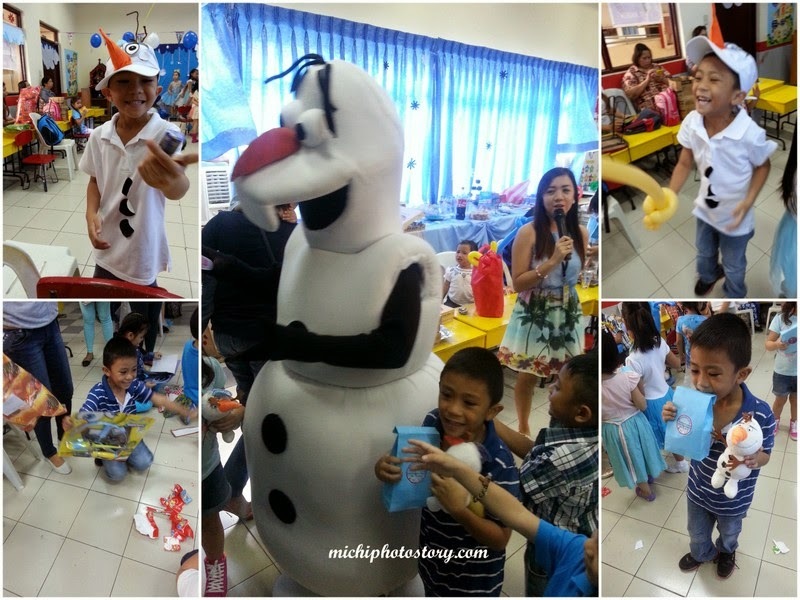 I know that Christmas is already over but I still want to share my son’s Christmas party last December 19, 2014. 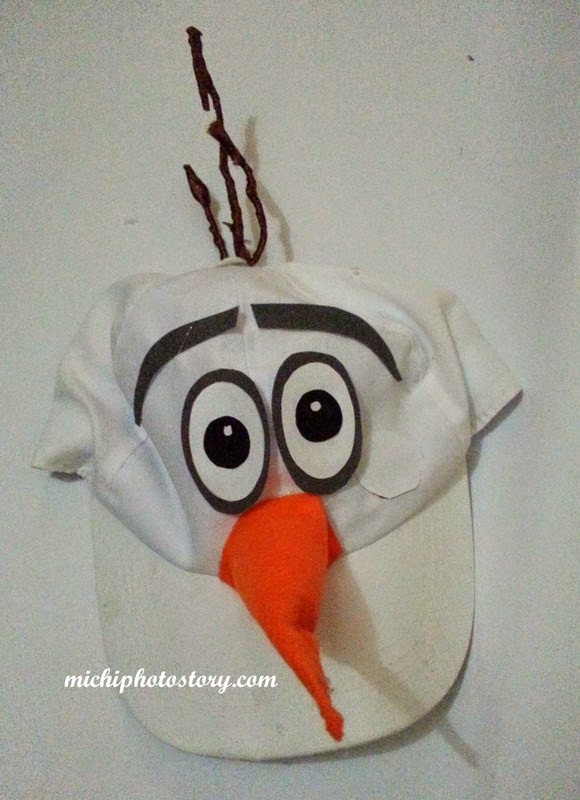 As I mentioned in my DIY Olaf Hat post the theme is Olaf/Frozen Party. 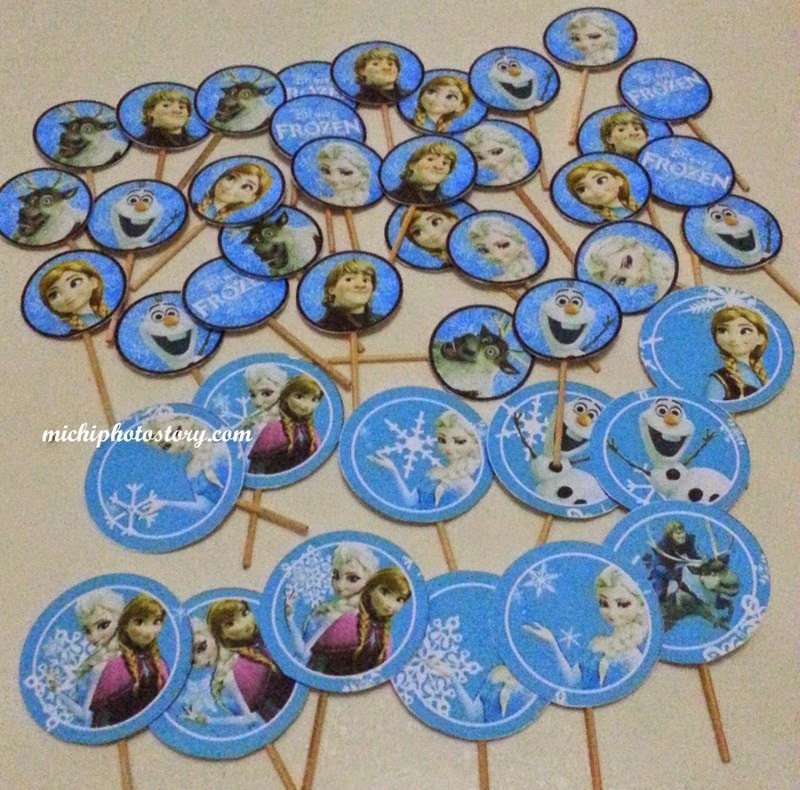 I know, some of you will raise eyebrows dahil sa walang kamatayan na Frozen theme. Hehehe! 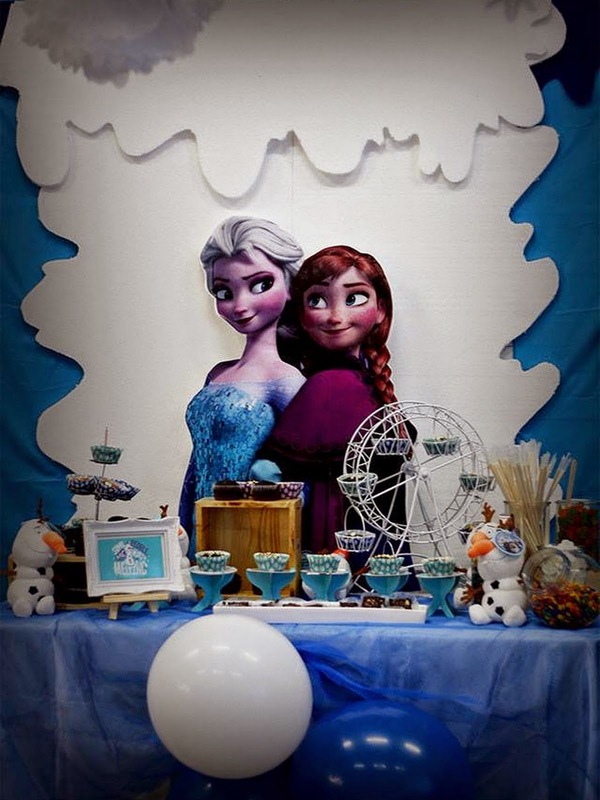 But kids love Olaf, Princess Ana and Princess Elsa. 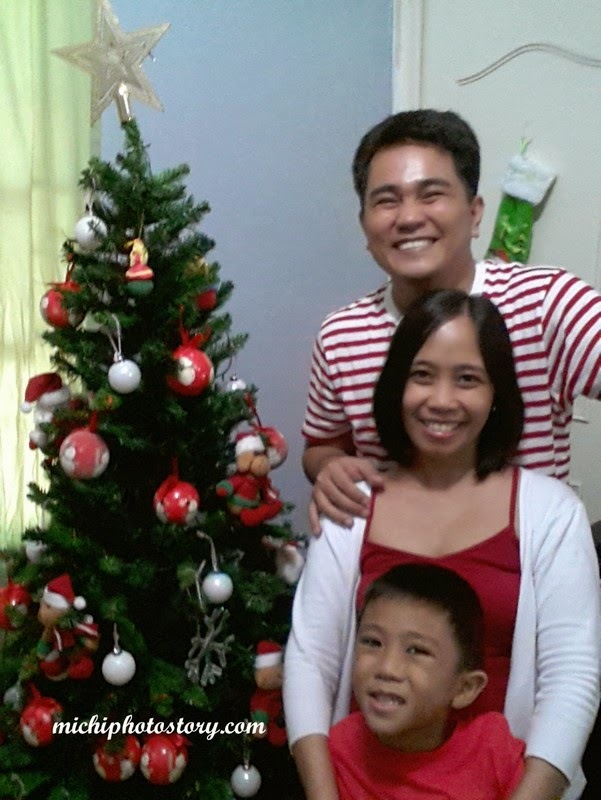 I was happy because parents can join the Christmas party so I asked my husband to take a vacation leave so he can come with us because this will be the last Christmas party that parents can join. We’re requested to wear something white, blue or aqua blue. Everything was organized by the active moms in school, the fee is P300 per kid and additional P150 for extra food which is Shakey’s meal. 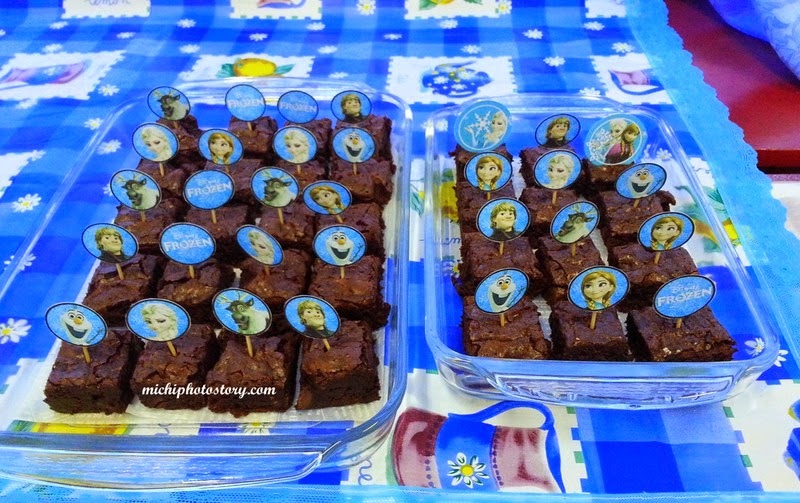 You can also pledge for additional food and I brought brownies at the party. Kids brought pack of candies two days before the party for the loot bags. 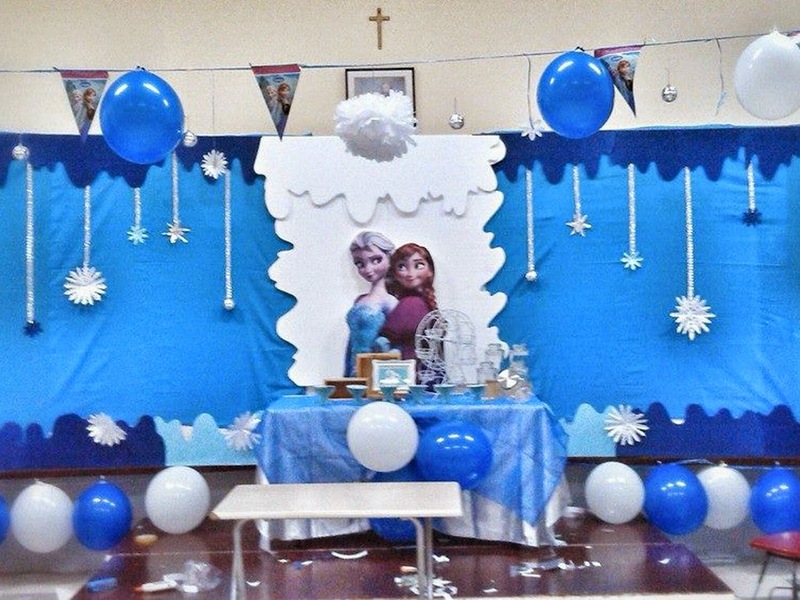 I was amazed when I saw the backdrop of the party, super talented ng mga nagprepare and no doubt that our section won the “Best Christmas Decor” from preschool to college. 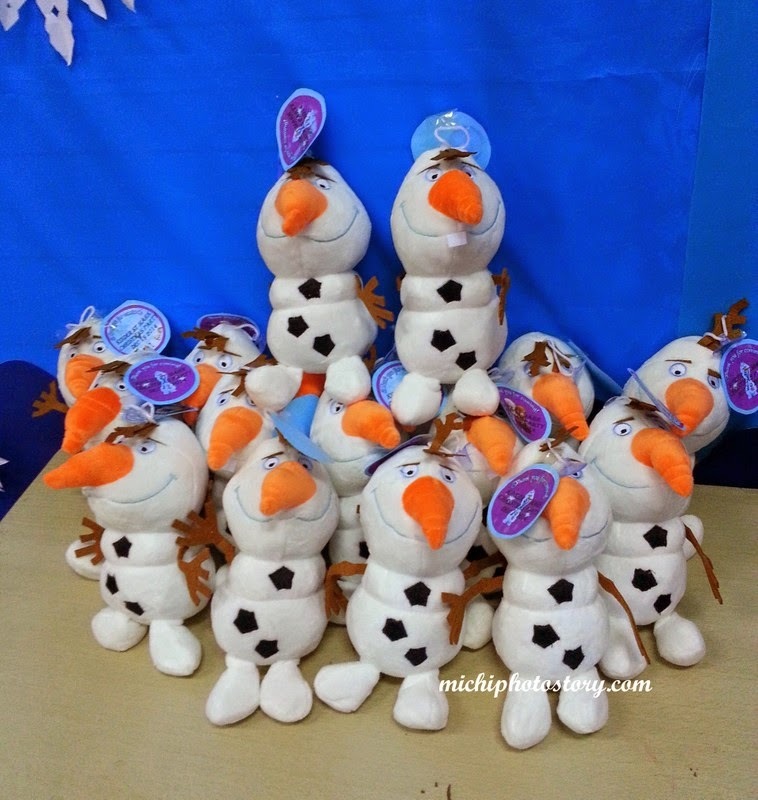 Thanks to one mom who pledge for Olaf mascot sobrang tuwa lang ng kids. My son was very happy with all the gifts and prizes that he received. I just realized that having an advent calendar is not easy because we have to do an activity for 24 days. There are times that we missed doing an activity because we’re too tired already like “watch a favorite Christmas movie”, “record yourself singing a favorite Christmas song” and “bake Christmas cookies”. I can’t remember what date is the "baking cookies" but my son wanted to make a Christmas tree cookie so even I was really tired last December 23, we still baked. 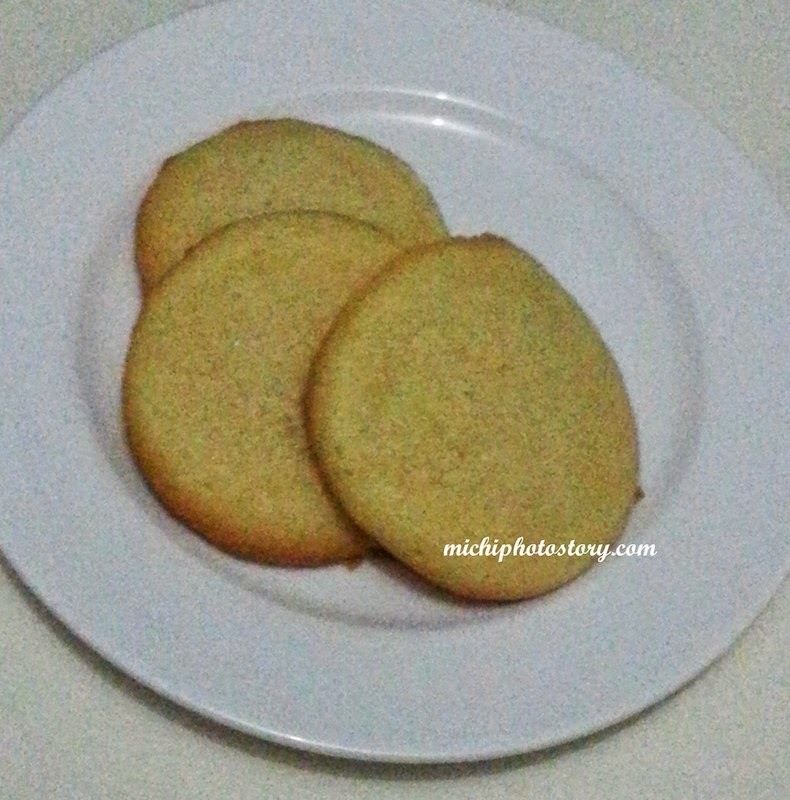 Good thing I have instant cookie mix which I bought when we had Field trip in Subic. 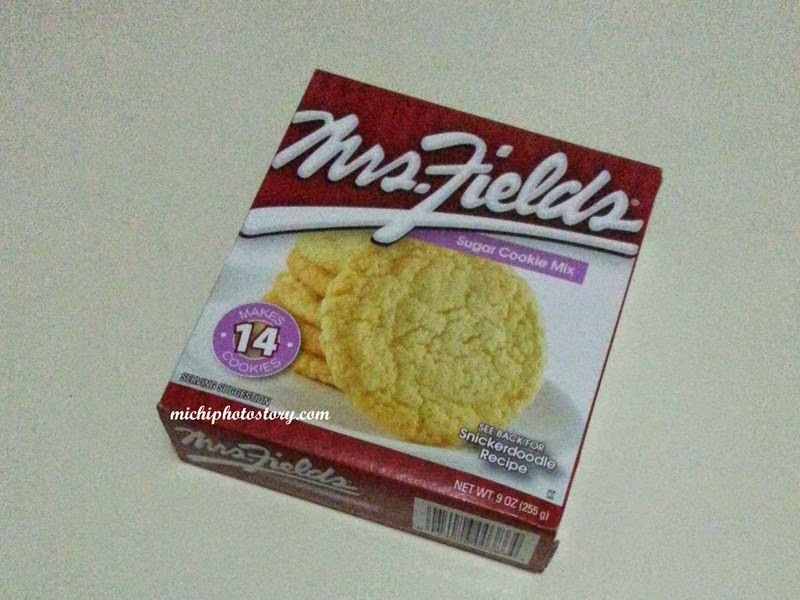 It was my first time to try Mrs. Fields instant cookie mix and I followed the direction but I don’t know why the dough is too runny so I can’t use the cookie cutter and rolling pin. 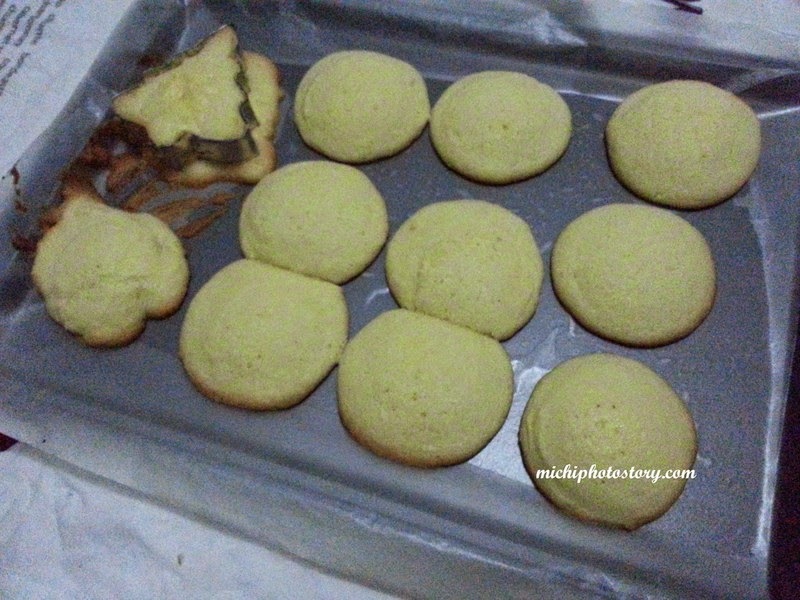 I ended up using scoop again to make a cookie but my son wanted to have a Christmas tree cookie so my husband put the dough inside the cookie cutter and I baked it with cookie cutter. Hehehe! Well, my son was happy and finished his Christmas tree cookie. 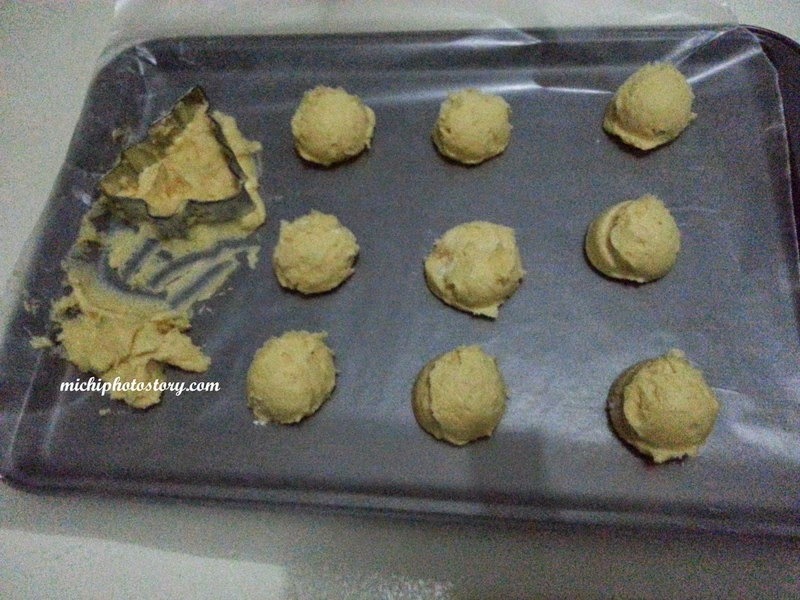 Now I was looking for cookie recipe where I can use my cookie cutter and rolling pin. Most of the time I prefer baking alone to avoid spills and mess. 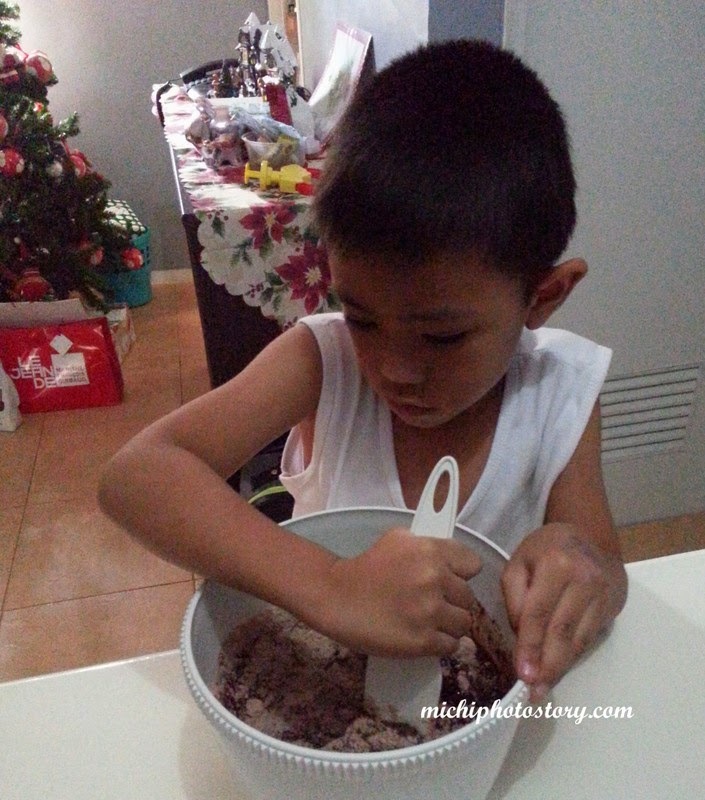 But baking is one way to bond with my son since he loves mixing. 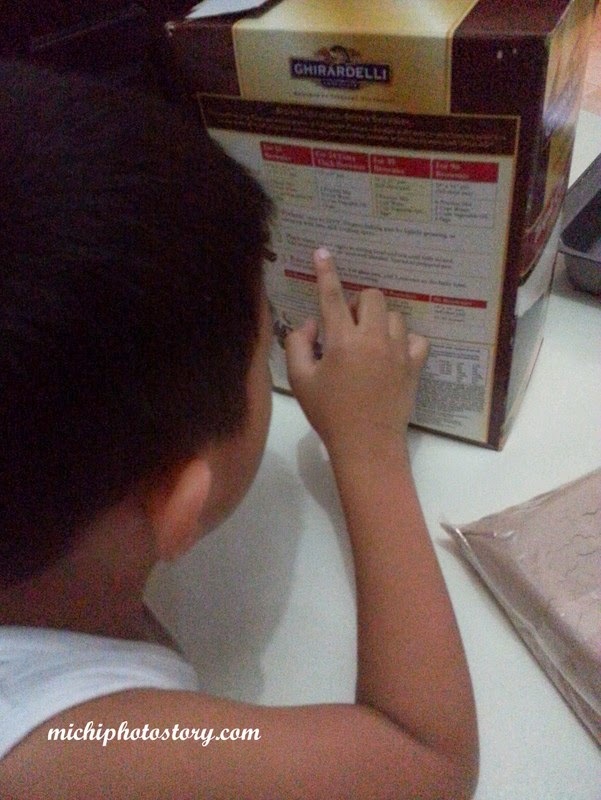 It also one way to teach him in reading, following instructions and measurements. Thank God for instant mixes because it makes my baking life easier. Last Thursday, our advent calendar activity is “Bake something for someone special”. The timing is right because we can bring the brownies in his school Christmas party. We love this triple chocolate brownie mix of Ghirardelli, I’ve been buying this for years already. 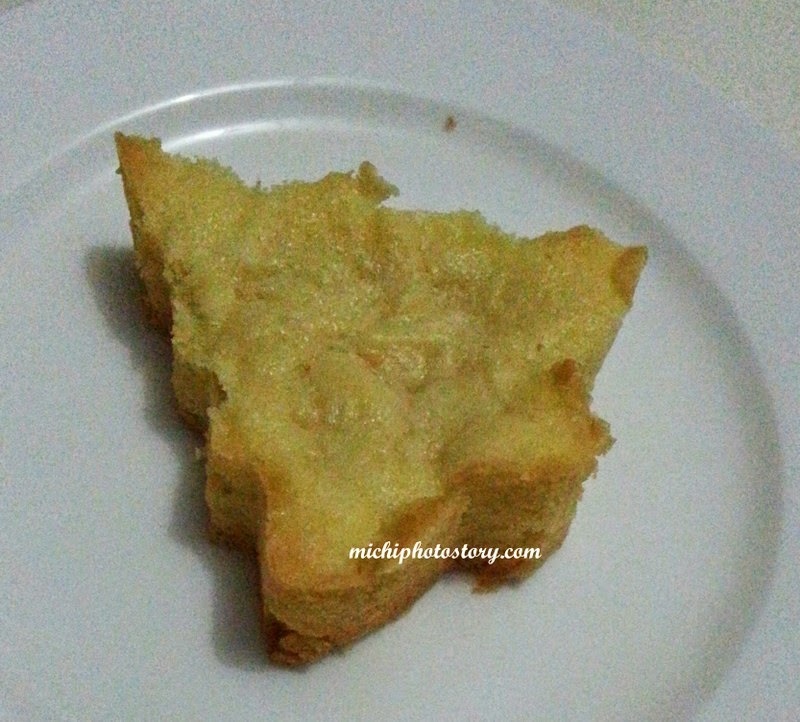 My son read the instructions and mix all the ingredients which is egg, oil, water and instant mix while I preheat the oven and transfer the batter in the baking pan. 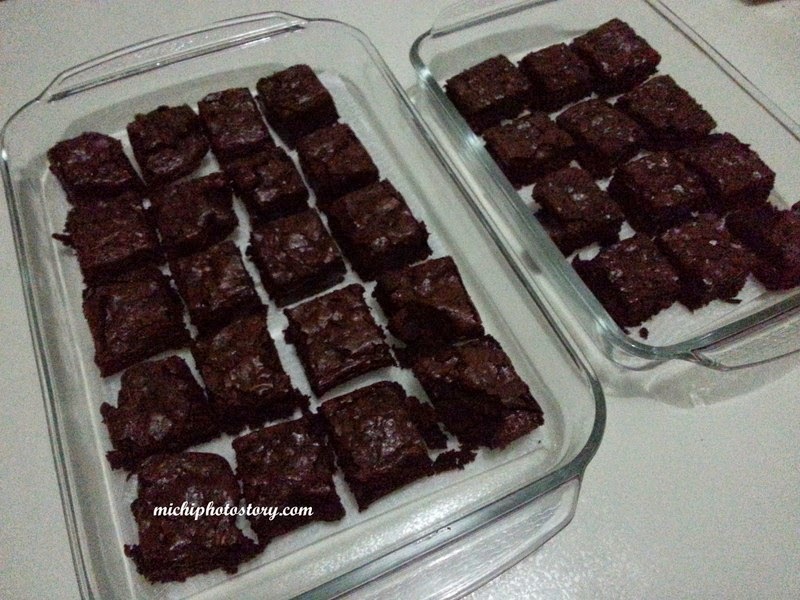 I bake another batch of brownies the following day. 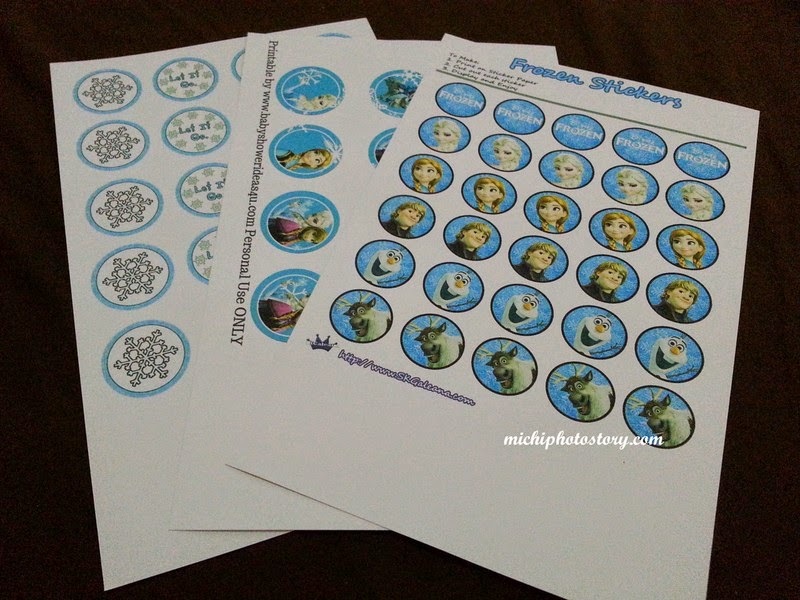 The Christmas Party theme is Olaf/Frozen so I printed cupcake topper for decorations. 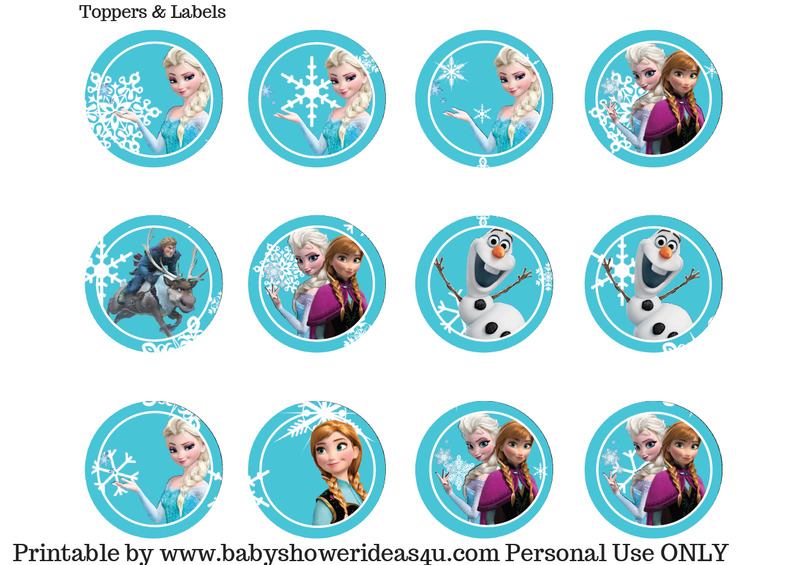 Click here and here for the free Frozen printables. 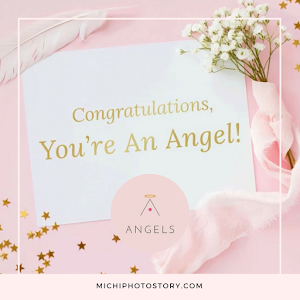 Christmas is the time of giving and thinking what gift to give is already a challenge especially if the person is not close to us, if the budget is limited or if you think the person has everything. If I’m having a hard time in buying gifts, I always buy food because I know people love to eat. I can make homemade gifts like what I did two years ago but I was busy as a bee this year so I just bought gifts. 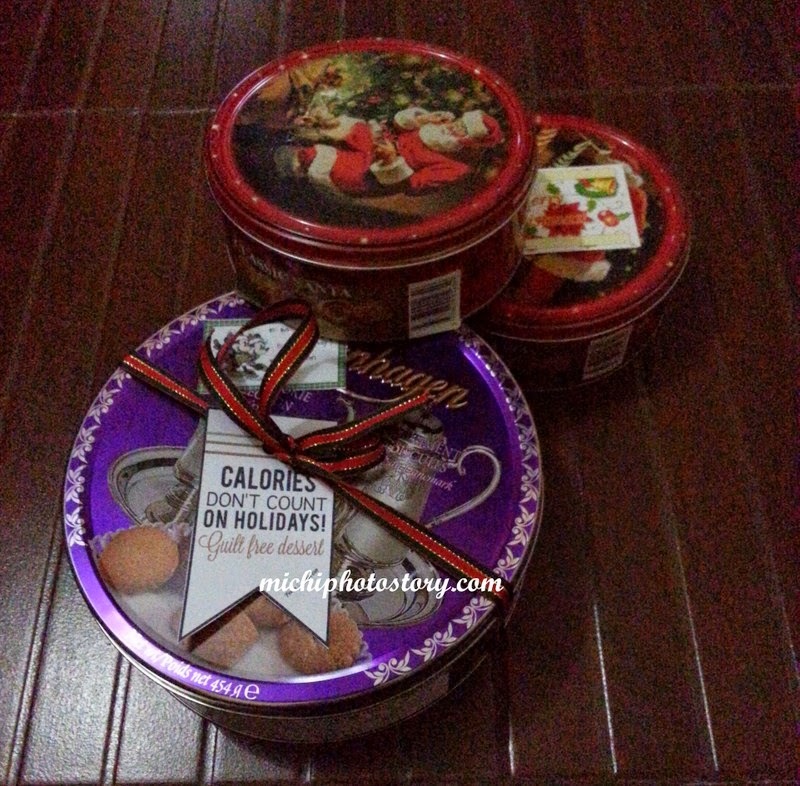 Sharing to you the gifts that I bought this year that won’t hurt your pocket. 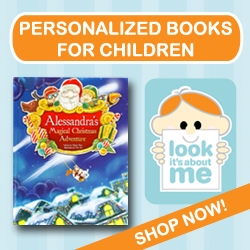 A gift that you can give to teachers, classmates, school services or officemates to show your thoughtfulness. 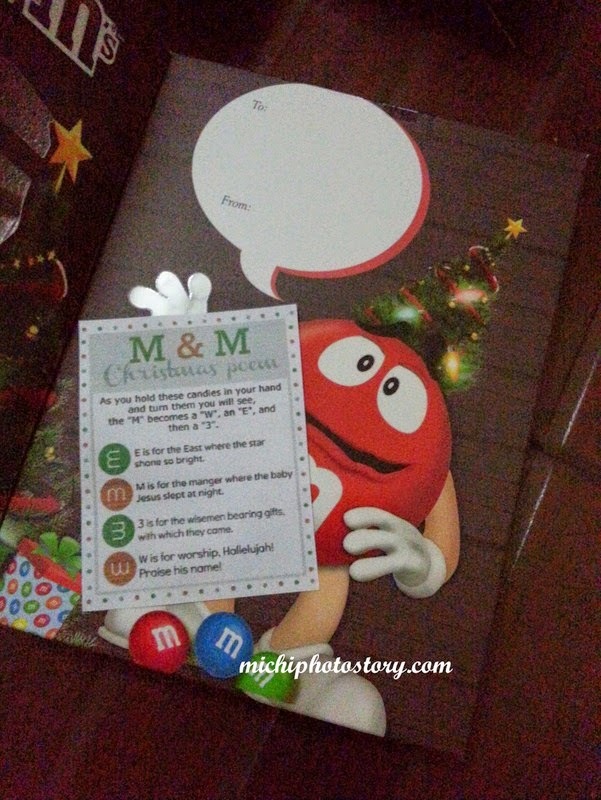 “As you hold theses candies in your hand and turn them, you will see the M becomes a W, an E and then a 3. 3 is for the wisemen bearing gifts, with which they came. 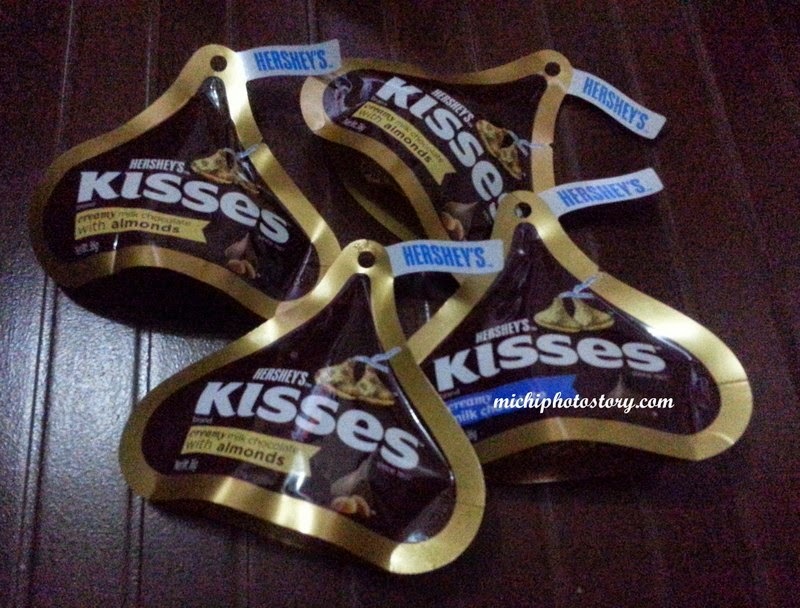 A pack of kisses and all you have to do is stick a Christmas tag or stickers. Can of cookies. I printed a tag “Calories don’t count on Holidays! Guilt free dessert” Click here for the free printables. 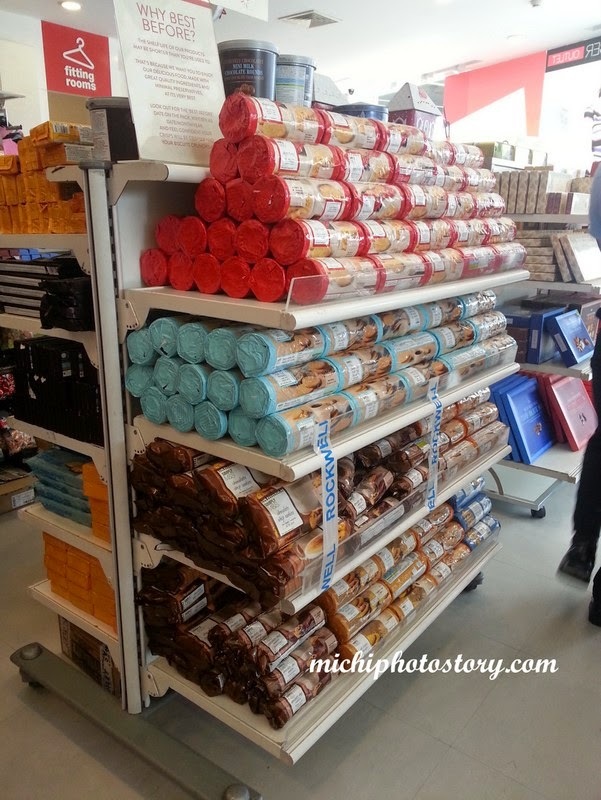 You can also buy gifts in Marks & Spencer, you can find gift for as low as P65 with free wrapping pa (paper bag). 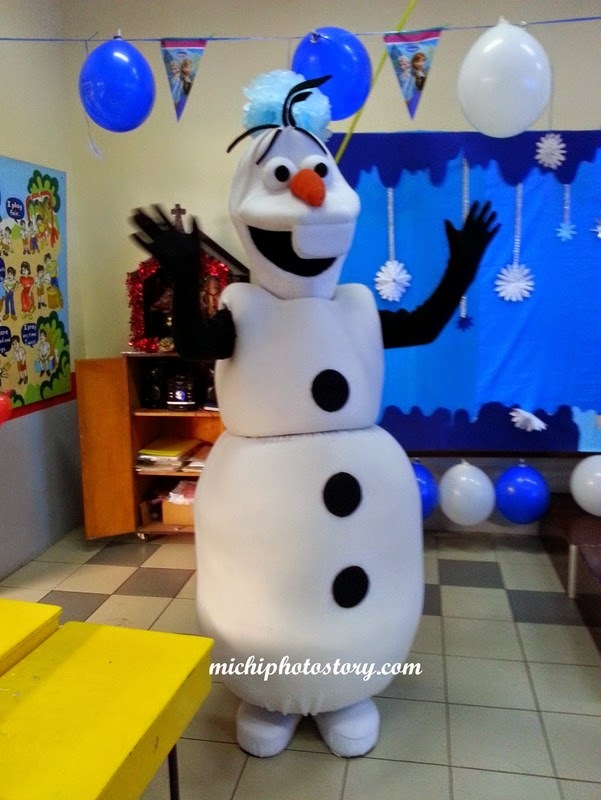 My son’s Christmas party theme in school is Olaf/Frozen so they were asked to wear touch of blue, white and aqua blue. He wanted to wear aqua blue and I went to different malls to check for aqua blue shirt/polo shirt but I couldn’t find anything. I was trying to persuade him to wear blue or white since we have that at home. 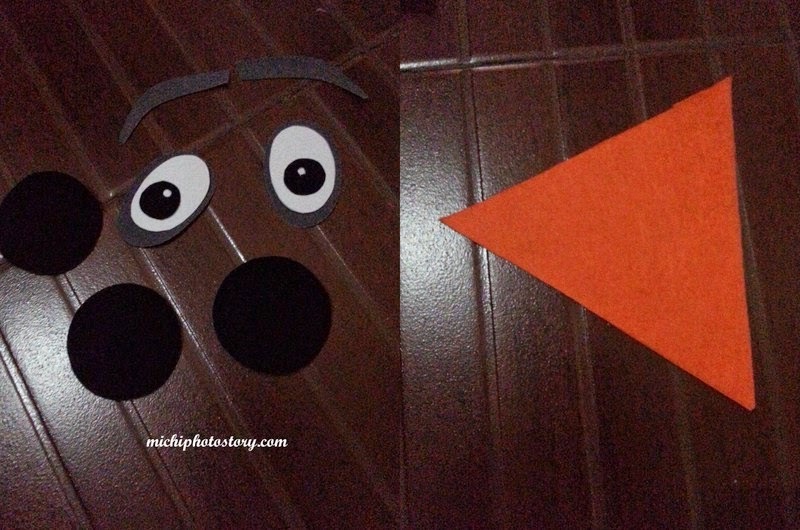 And to finally convince him, I made a DIY Olaf Hat Costume. I don’t know where I can buy felt cloth so I bought felt paper, but sadly I couldn’t find black/white felt paper in four National Bookstore that I’ve visited. Good thing I remember his firefly costume so I used some materials of his costume to make his Olaf hat such as black felt paper, brown ribbon and the antenna. I got the idea in this site, but there was no template for everything. 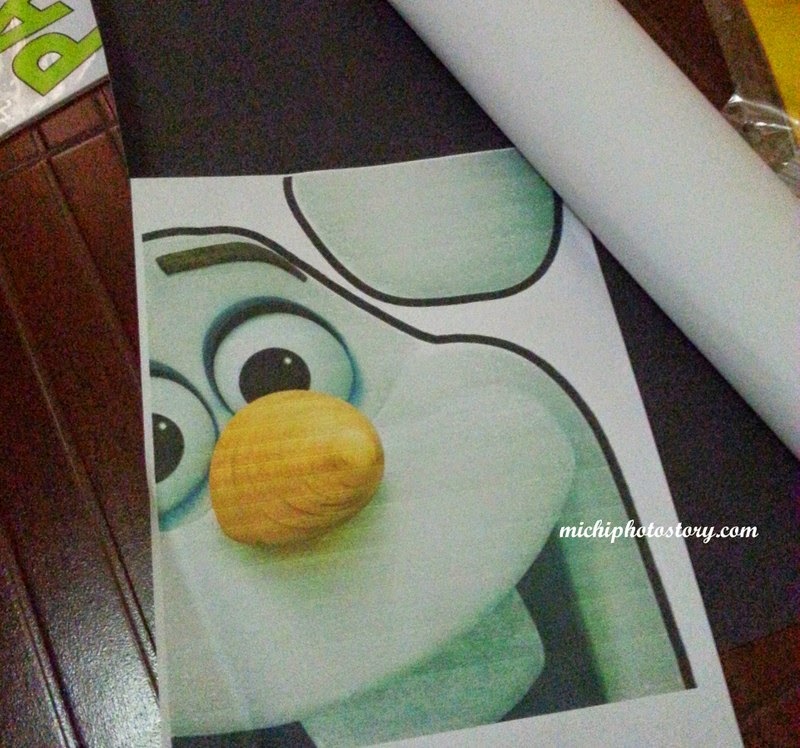 I just printed the Olaf picture, got the eyebrow pattern and drew shapes for the eyes and nose. 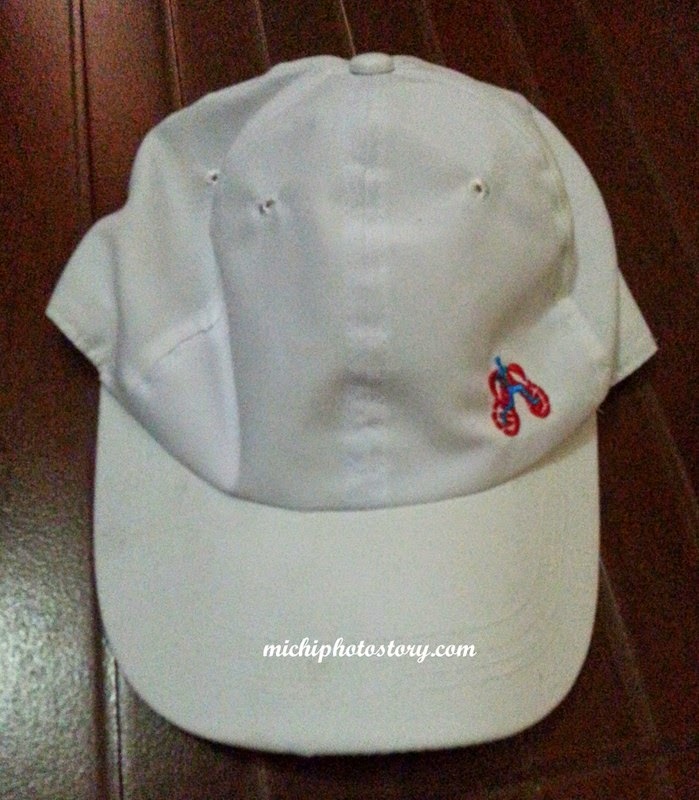 Fortunately, his dad has white cap from fun run freebies. I trace my pattern in felt paper and oslo paper. 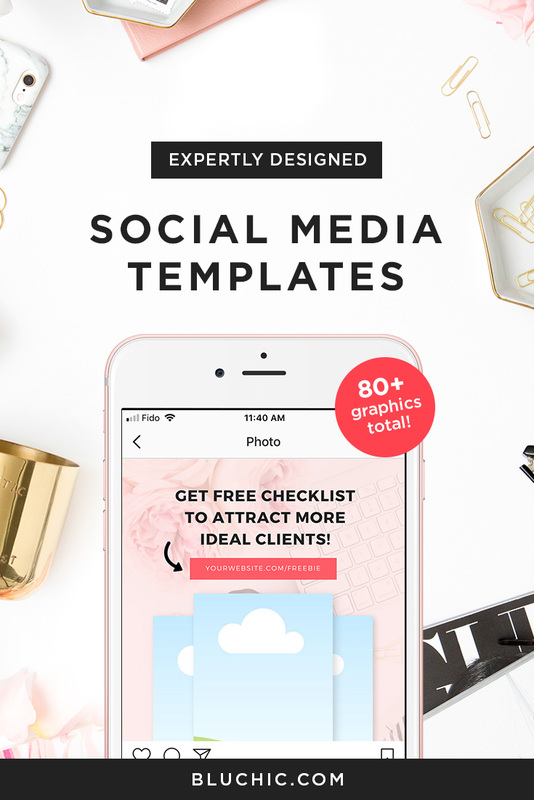 Cut and paste everything together. Place cotton inside the nose. Cover the wire with brown ribbon. 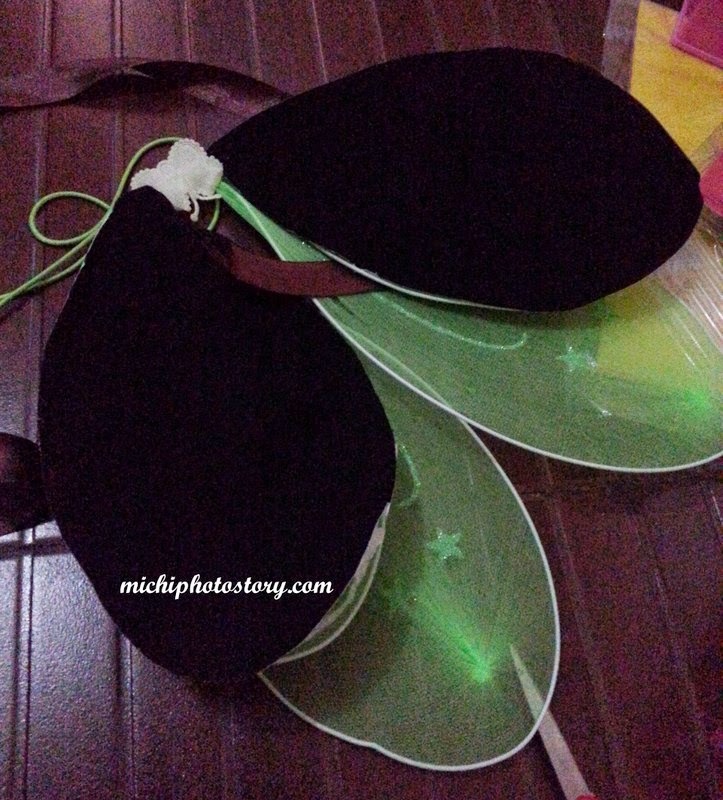 Attach everything to the cap using glue gun. 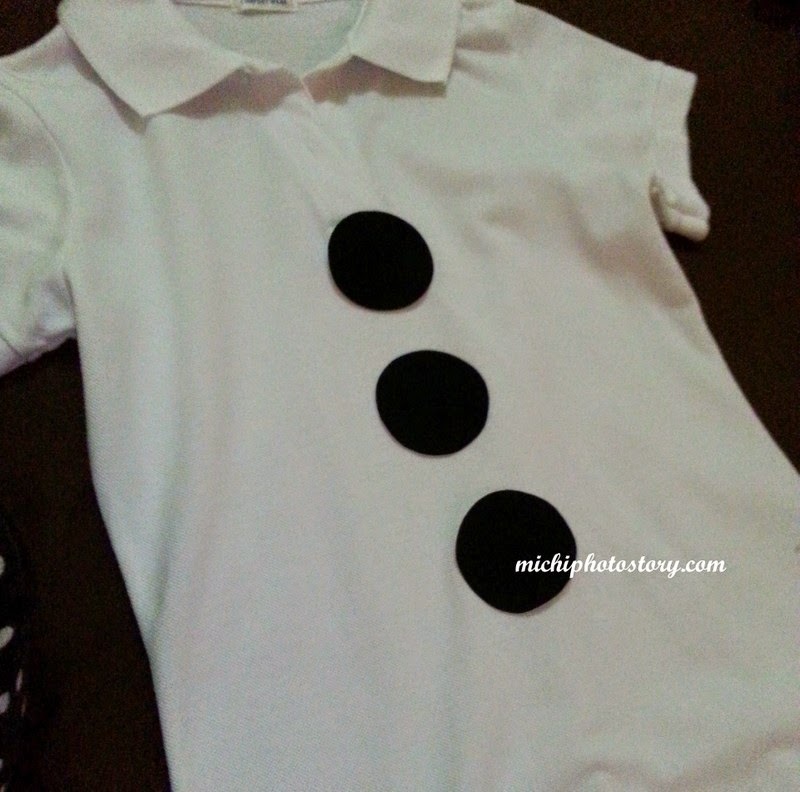 I made three circles for his white polo shirt. I sew the circles so it won’t ruin the shirt. 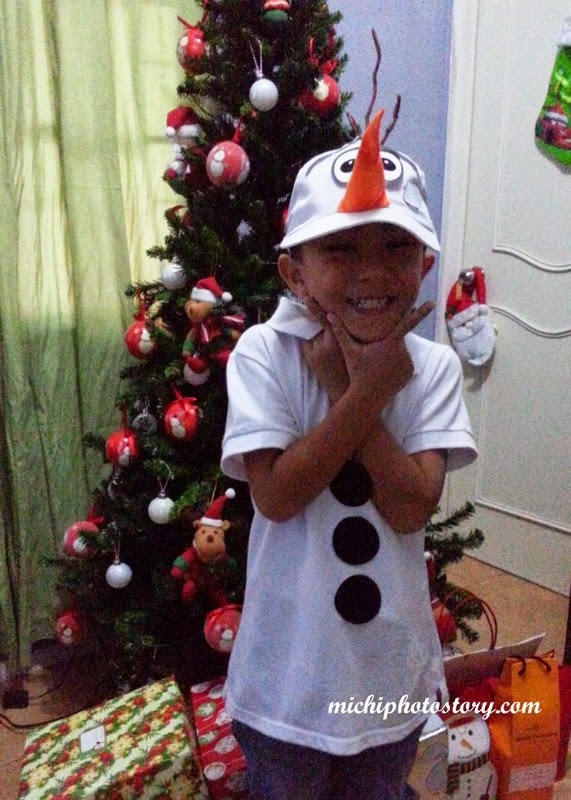 My son was happy with our DIY Olaf Hat Costume. For the longest time, my son wanted to experience snow and build a snowman. Oh yes, he wanted a real snow and we all know that we don’t have snow in the Philippines. 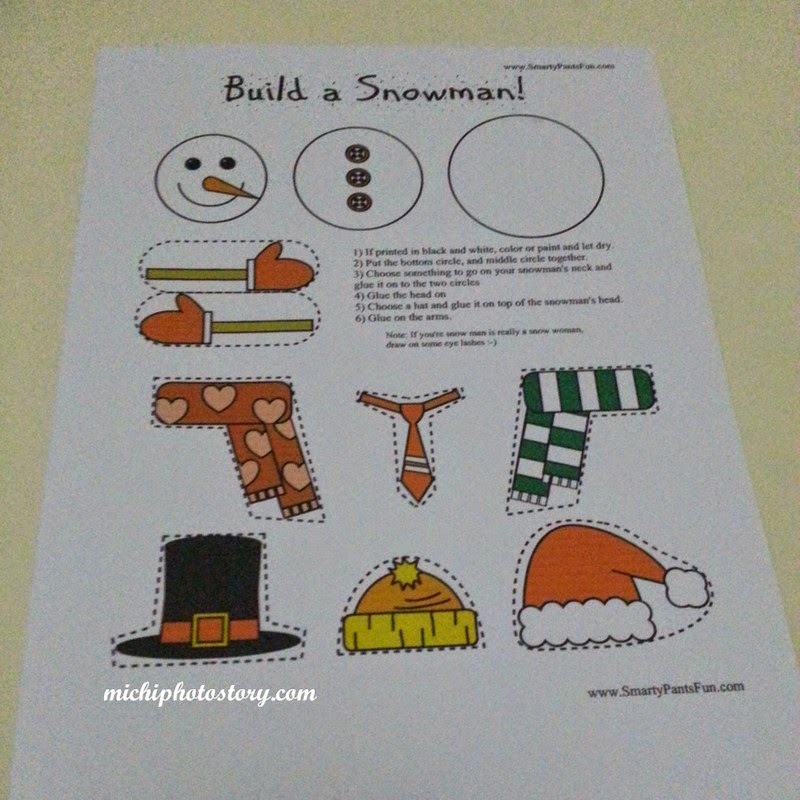 I don’t know when I can grant his wish but for now, we can “Build a snowman” using this template. 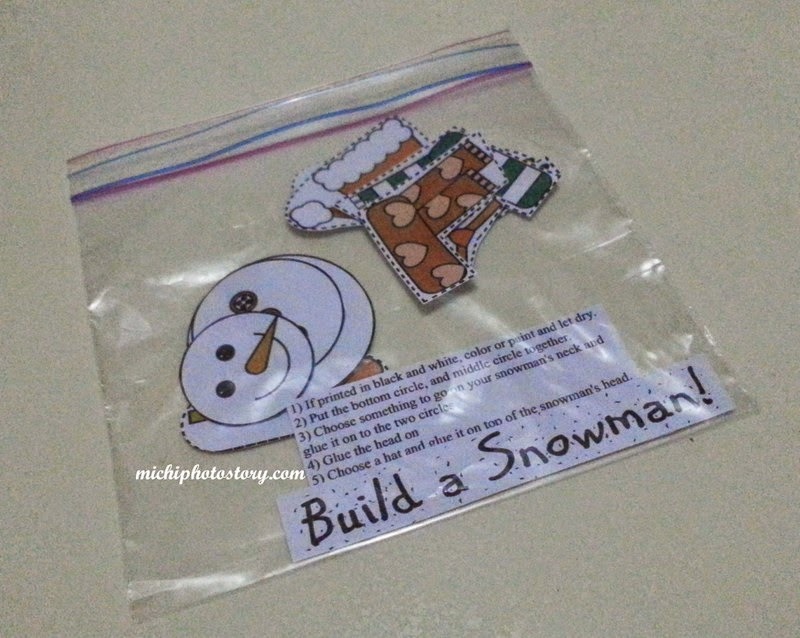 While my son was in school, I cut the snowman template and put everything in a zip lock. 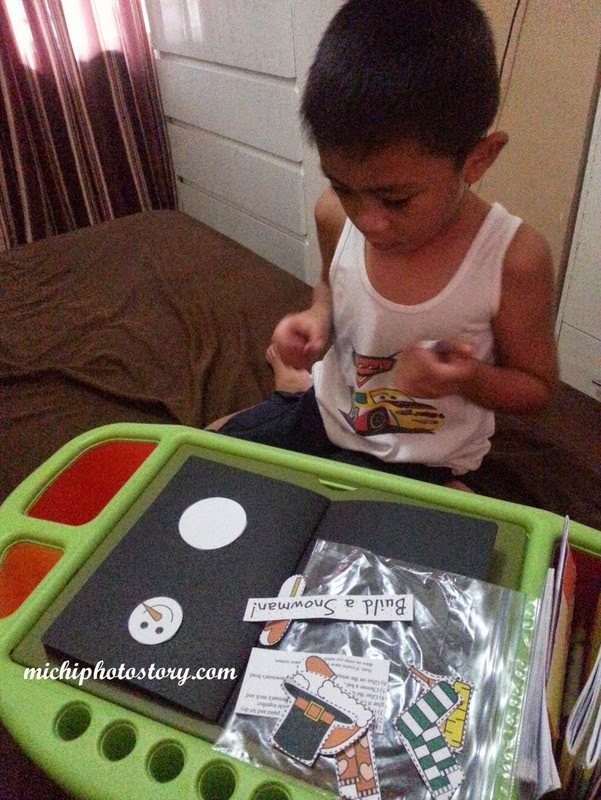 Before we study for his 4th monthly test, I let him do the activity. 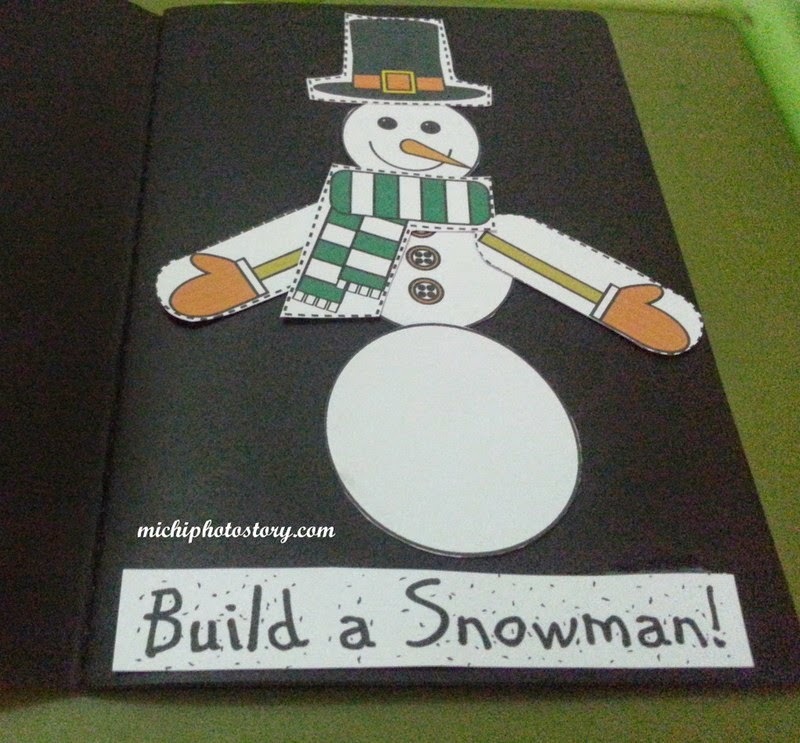 I gave him a notebook where he can paste the snowman. Do you want to build a snowman? Click here for the snowman template.